Since 1995, we’ve satisfied thousands of customers and have installed tens of thousands of square feet of roofing material. Our roof technicians can handle every phase of your roof replacement project competently and efficiently. 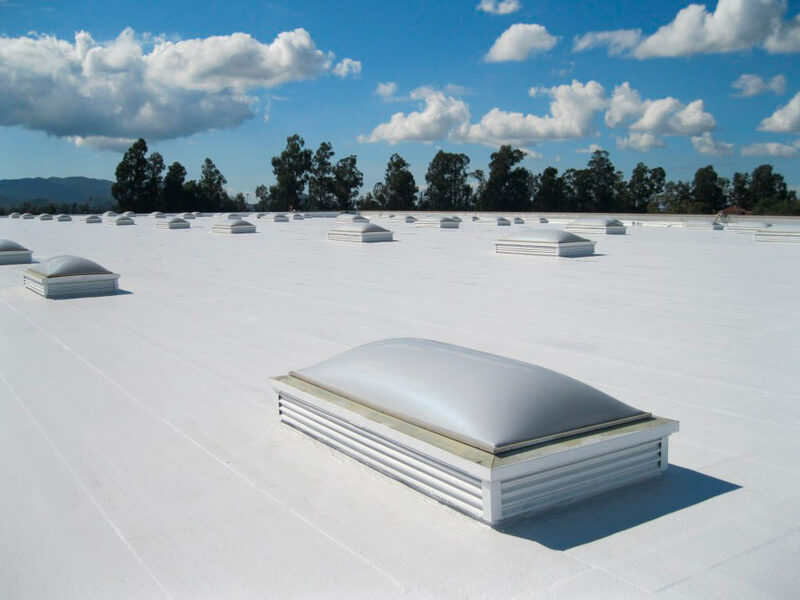 Commercial roof replacement E. Esquivel Roofing offers roof replacement services only when repairs and restoration alternatives are no longer an option or deemed incapable of bringing your roof back to a serviceable condition, or at your specific request. We take a proactive approach to our roof replacement services that instills a high level of communication, and we work as a team with you to keep things moving while anticipating issues such as daily business operations, environmental needs, inventory protection, tenant concerns, and insures that we proved the best solution possible for your roof replacement needs. At E. Esquivel Roofing, we understand the need to minimize disruption of your business activities while replacing your existing roof system. 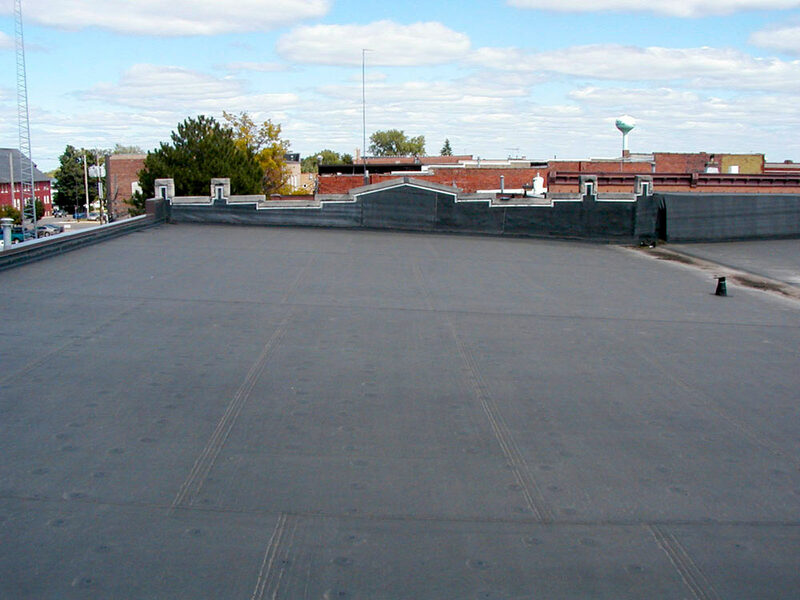 A synthetic rubber single-ply roofing membrane used in many low-slope projects, and is one of the more popular choices for roofing contractors and architects for commercial flat roof construction. 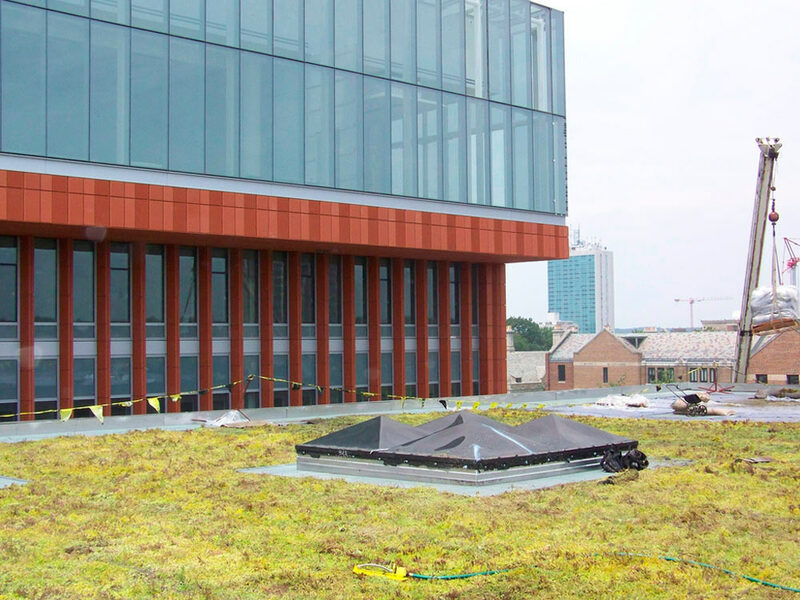 A thermoplastic single-ply roofing material that is incredibly strong, and is a popular choice for green roofing projects. A polyvinyl single-ply roofing membrane that are specifically designed to prevent pooling water. 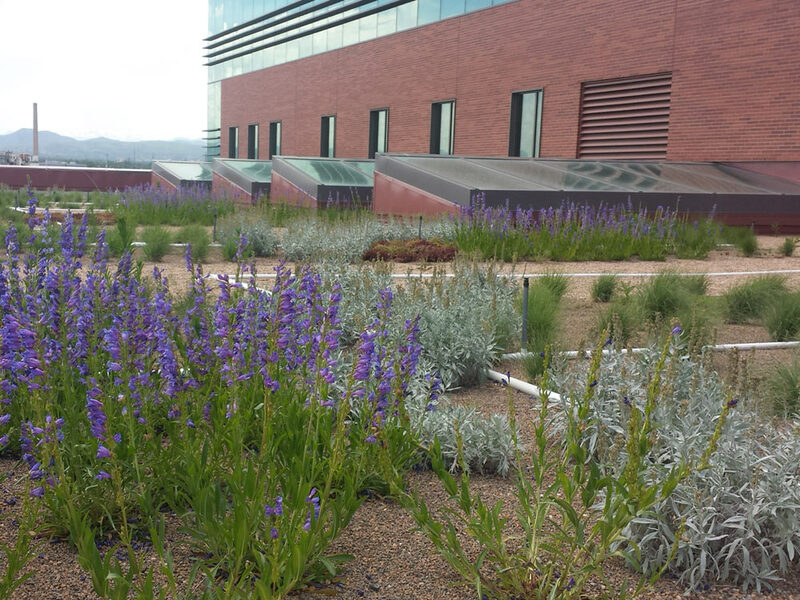 If you would like to see what the end product looks like, check out our gallery of completed projects. If you have any questions, contact us! 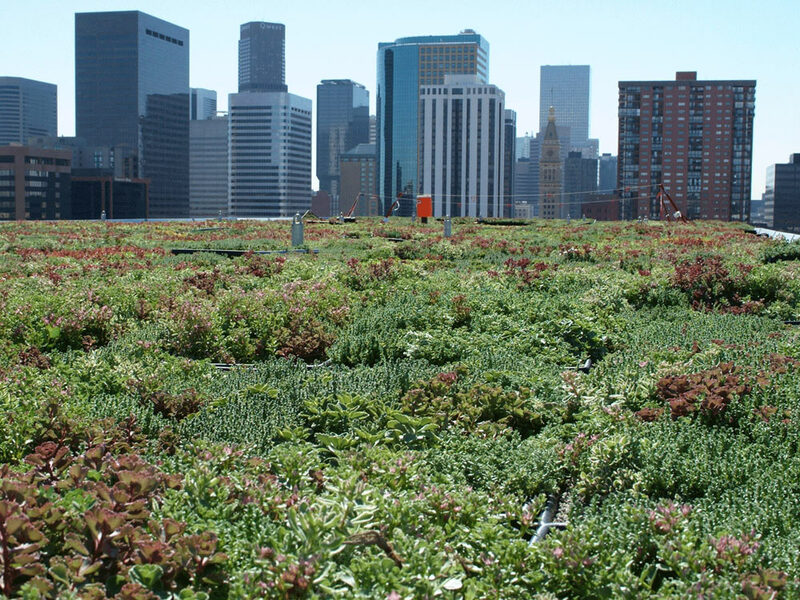 A Eco-Roof utilizes one of the above systems allowing you to save on heating and cooling cost and reduce greenhouse gases as well. These roofs have been out for several years now and there is no need to worry about issues. E. Esquivel Roofing is one of only a few companies that have the expertise to leave you worry free. 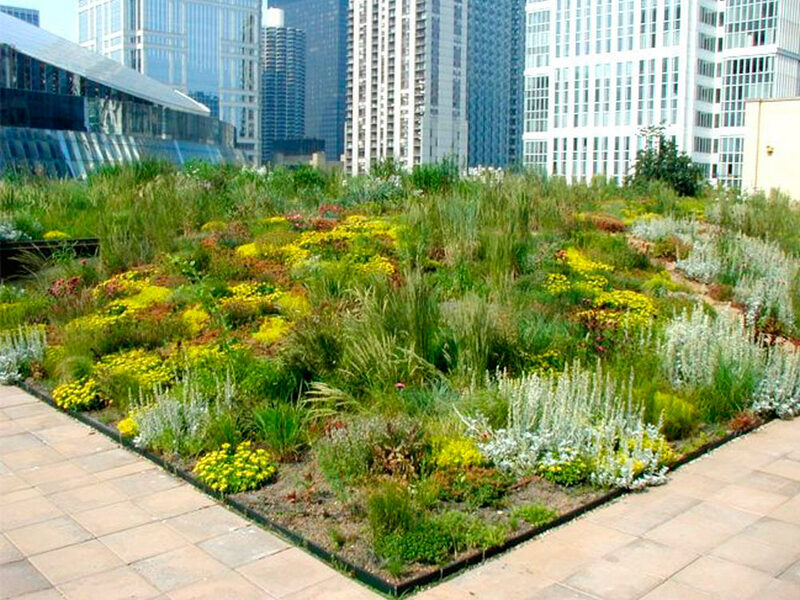 Contact Us and ask us how you can go green on your flat roof system. Metal Roofing for Commercial Construction. Available for roof replacement applications, E. Esquivel Roofing can construct a metal roof that is a light-weight structural metal panel that can be fastened directly to purloins as well as to solid underlayment’s. With our state-of-the-art, computerized cutting, folding and layout equipment, E. Esquivel Roofing can custom fabricate flashing, valley pans, hip caps, ridge caps, drip edge, eave and gable trim. 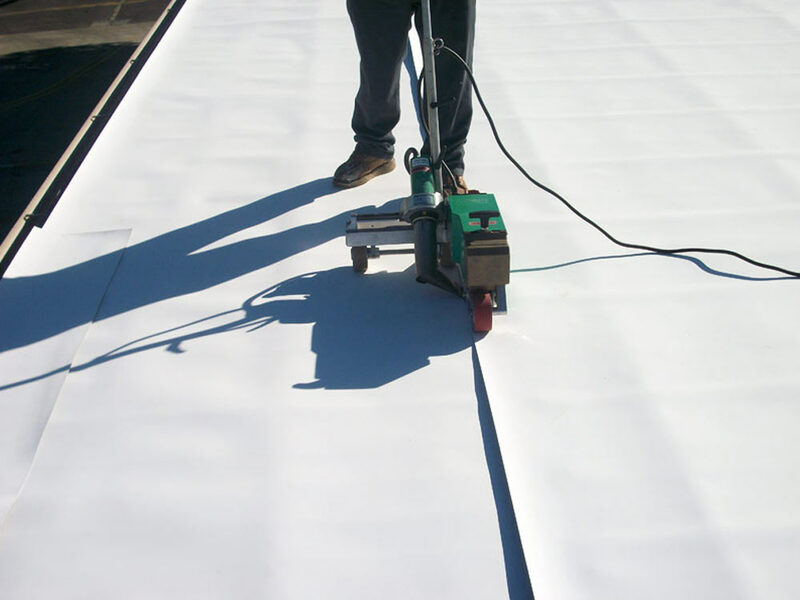 In addition, E. Esquivel Roofing has complete capabilities for on-site roll-forming, gutter and downspout machines. Our skilled sheet metal craftsmen work with our design team to create quality, high end products for you. 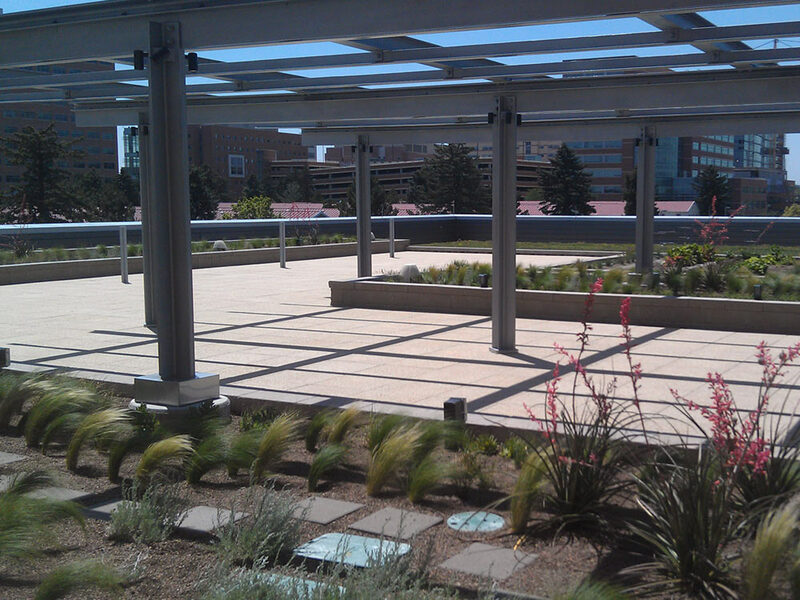 Why Choose Metal Roofing for Commercial Construction?